Is Obama the ‘Antiwar Candidate’? Now that Barack Obama has pulled the rug out from under John McCain’s "victory or death" campaign theme, with the invaluable assistance of Iraqi Prime Minister Nouri al-Maliki, he’s preparing the way for a surge of his own: an Afghan surge, to be precise. Averring that we need to put more troops in Afghanistan, whose U.S.-supported "president" functions as little more than the mayor of Kabul, Obama is posing earnestly next to as many uniforms as he can, hoping to establish his credentials as a plausible wartime president. So, you thought we’d be rid of the endless "war on terrorism" once we got George W. Bush out of the White House, and ensconced a Democrat in his place? Well, think again, and get ready for an escalation of the Other War  the one in Afghanistan, a much tougher and more intractable prospect than Iraq by a longshot. 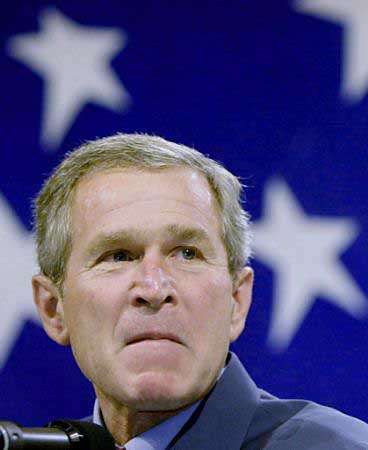 The Obama/Democratic Party line on the Middle East, in a nutshell, amounts to this: the Bush administration, through some mysterious internal malfunction, allowed itself to be "diverted" from the task of pursuing al-Qaeda, which was based in Afghanistan, and instead went after Saddam Hussein and the Iraqi Ba’athists because, as Paul Wolfowitz said, "it’s doable." The word "neocon"  and any references, however oblique, to the key role played by foreign lobbyists in rushing us into war  never passes the candidate’s lips. After all, that would be "divisive." were successful on more than one occasion. “It should be remembered that, in 1878, the British did succeed in bringing the Afghans to heel [with a punitive expedition]. Lord Roberts’ march from ‘Kabul to Kandahar’ was one of [Queen] Victoria’s most celebrated wars. The Russians, moreover, foolishly did not try to punish rogue Afghans, as Roberts did, but to rule the country. Since Afghanistan is ungovernable, the failure of their efforts was predictable. The smoke was still rising from the World Trade Center and the Pentagon as Keegan’s article saw print, and today the prospects of a "punitive expedition" are about as dim as the hope of establishing a Jeffersonian republic in that tortured terrain. The time for such an effort has long since passed. Bush botched it, and, unlike Hollywood, history doesn’t allow second takes. Bin Laden and his confreres have since spread far and wide, recruiting an entirely new generation of jihadists  with the invaluable help of our own policymakers, who have given the terrorist icon plenty of grist for his mill. U.S. efforts in Afghanistan have been marked by alternate bouts of unmitigated brutality and do-gooder social engineering, often occurring simultaneously. I’ve lost count of the number of times we’ve "mistakenly" bombed a wedding party or even the Afghan police, denied it, and then later on sheepishly admitted our error, attributing it to "the fog of war." This has happened so many times that President Hamid Karzai has raised the subject in public, his anger palpable. On the other hand, we’ve been busy on the do-gooder front, as if to make up for our deadly "errors," pushing women’s rights and bringing the alleged benefits of "modernity" to the mountainous land that time forgot. Yet this effort has not been welcomed. It has been stubbornly resisted by a proud and deeply religious people, whose traditional mores and cultural history are so far removed from our own. This sort of thing has been tried before  by the Soviets, who tried to impose land-reform measures and gender equality at bayonet point. Obama, with his idealistic "yes-we-can"-ism, seems all too likely to reattempt it. Already he’s pledged to commit more money and other economic assistance, as well as more troops, to Karzai’s beleaguered and deeply corrupt regime  which means more tax dollars thrown into a bottomless hole. Furthermore, this well-meaning earnestness will boomerang in our faces, as the age-old customs of an inward-looking people are violated and the yoke of foreign rule is tightened. Out in the Afghan wilds, Kabul is just as far removed as Washington, at least figuratively, and the "country" of Afghanistan is largely a Western fiction, a geographical rather than a political or national entity that is no more unified than, say, East Africa. Tribes, clans, and sub-clans, various ethnic and regional groups and sub-groups, all with their labyrinthine histories of conflict and collaboration  it’s a chaotic and often stormy mix that can’t be managed or "reformed." When the NATO commander in charge of the Afghan front reiterates the West’s desire to impose "democracy and good governance," one wonders what planet he’s living on. The re-invasion and occupation of Afghanistan will give President Obama a chance to highlight his hawkishness and prove himself to the War Party as a good and loyal servant. It will also allow the Democratic Party to refurbish its credentials as a tough-minded crew, ready, willing, and able to spill as much innocent blood as the GOP in establishing U.S. hegemony in the Middle East. This refurbishing, however, will be short-lived, because the Afghans will be no more receptive to Obama’s charms than they were to Queen Victoria’s civilizing mission and Yuri Andropov’s "proletarian internationalism." It isn’t just Afghanistan, however, that provides a clue as to Obama’s future development as a wartime president in the tradition of Bush, Truman, and FDR: the appointment of Dennis Ross as his principal Middle East adviser is good news for the War Party, specifically for that crucial branch of it that specializes in promoting Israel’s ambitions over America’s national interests. No matter which president Ross worked for, Democrat or Republican  and he’s worked for both  his interventionist agenda and his sympathy for the interests of a certain Middle Eastern nation were no secret. His sympathy, too, for poor, persecuted Scooter Libby prompted him to endorse that convicted felon’s defense fund. And he was right in there with Bill Kristol and the Project for a New American Century in agitating for war with Iraq. "Another contingency of liberal hawks occupies positions of influence in Washington think-tanks, including the Saban Center for Middle East Policy at the Brookings Institution, where such scholar-practitioners as former U.S. ambassador to Israel Martin Indyk and Kenneth Pollack have been cheerleaders for the Iraq War and have approved of Bush’s policies on Iran and Israel. In fact, one does not have to be a veteran political observer to predict Indyk, Pollack, and other experts on the Middle East, like former peace negotiator Dennis Ross, would probably play a major role in influencing the policy of a future Democratic administration. In that case, the Democratic Party activists who rallied against Joe Lieberman should not be surprised if Bush’s Democratic successor ends up pursuing policies that might be described as neoconservatism with a smiling Democratic face." Ross acted as a front man for the government of then-Prime Minister Ehud Barak during the Clinton-era Oslo negotiations, poses as a "peacemaker," shamelessly promotes Israel’s interests, and works for AIPAC and AIPAC-affiliated organizations yet strenuously denies there’s such a creature as the Israel lobby. He is virtually the living embodiment of business-as-usual insofar as U.S. foreign policy is concerned, and his closeness to Obama  the two stood side-by-side during the candidate’s Mideast tour  bodes ill for the antiwar voter shopping around for a viable candidate. This isn’t "change"  it’s the same old B.S., rooted in some pretty basic misconceptions. The idea that the U.S. can "solve"  permanently and decisively  the terrorism problem is an illusion ingrained, perhaps, in the American psyche, which is fond of applying metaphors like "get the job done" to complex realities barely comprehensible to the Western mind. It’s as if the making of foreign policy were like plumbing, and it’s merely a matter of "fixing" things that somehow got broken. That our own policies caused this breakage in the first place, often directly, is almost never acknowledged, and when it is, the proposed "solution" is guaranteed to worsen rather than alleviate the original problem. The mistakes of the past cannot be undone, but if we learn from them we can minimize the amount of "blowback" that continues to come at us from all directions. Alas, it appears that, no matter who wins the White House this November, a foreign policy made by those who have learned nothing and regret nothing will remain in place.